During our years of expertise, we have identified the most effective strategies in ensuring secure and efficient payment methods for e-commerce retailers of any size or business niche. Utilizing the latest technologies, we have been able to expand and improve our software, letting you offer the quickest and safest payment methods to your clients. 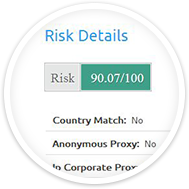 High quality standards have earned us such certifications as PCI-DSS Level 1 top security level, as well as approved member agent status for all the major payment card brands. Having successfully handled more than 200 e-commerce projects, we have plenty of knowledge to make solutions suited for your specific business needs. We have a professional customer service team ready to answer your questions at any time. 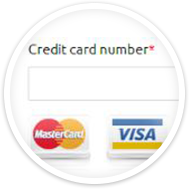 Minding the needs of your customers, NextPay is compatible with all the major credit card issuers. 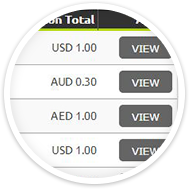 Let your clients purchase using any of the currencies of their preference. We take extra care in ensuring security and verifying the identity of your clients in a swift, yet unobtrusive way. 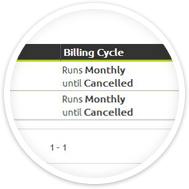 We offer a number of billing cycles to make the payment process easier to your clients. NextPay offers an affordable all-round package for businesses of all sizes and industries. Getting started takes as little as a one-time payment of $150, and our ultra-low maintenance and transaction fees make international e-commerce trading easy and budget-friendly.